Merlin, Oregon—Morrisons Rogue Wilderness Adventures and Lodge are in full swing for the 2019 season and want to be clear that their tours and lodging are unaffected by last year’s wildfires in the area. Although last year’s Klondike and Taylor Creek fires impacted a number of local businesses and landowners, and made outdoor recreation in the area challenging at times, there is no current negative impact on Morrisons trips or lodging whatsoever. It is estimated that the Klondike and Taylor Creek fires burned over 211,801 acres of forest land, however there is no fire damage is visible from Morrisons Lodge or from any vantage point on any of our multi-day hiking or rafting trips. As far as the outlook for this reason, recent winter storms are bringing unprecedented rain and snowpack. The Medford National Weather Service reports that rainfall for 2019 so far is nearly 3 inches above average. While the Statesman Journal reports snowpack levels are 117% of normal for this time of year. 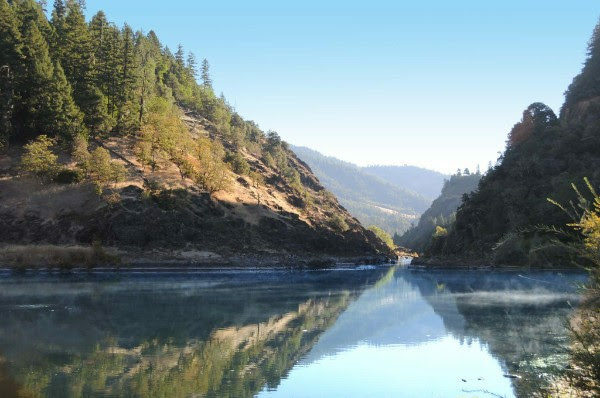 Morrisons Rogue Wilderness Adventures and Lodge offer a variety of guided hiking, rafting, and fishing trips on the Wild & Scenic stretch of the Rogue River. They also serve as a clearinghouse of information for campers and rafters planning their own trips on the Wild & Scenic Rogue River. Resources to support self-guided travelers can be found on their new website. There you’ll find georeferenced campsite maps, trail maps, boater’s guides, and information about equipment rentals to make your trip to the Rogue River easy and fun. If you’re looking for an opportunity to get some exercise and escape the busy-ness of the modern world this summer, Morrisons’ trips are the perfect fit. Morrisons has been leading world-class rafting, fishing, and hiking trips on the Rogue River for over 50 years. They are Southern Oregon’s premier river adventure outfitter, working daily to protect and preserve the majesty of the Wild & Scenic Rogue River. To learn more about Morrisons Rogue Wilderness Adventures, please visit their website at https://rogueriverraft.com/. To access resources, tips, and tools for self-guided travelers visit their new website at https://wildrogue.com/.